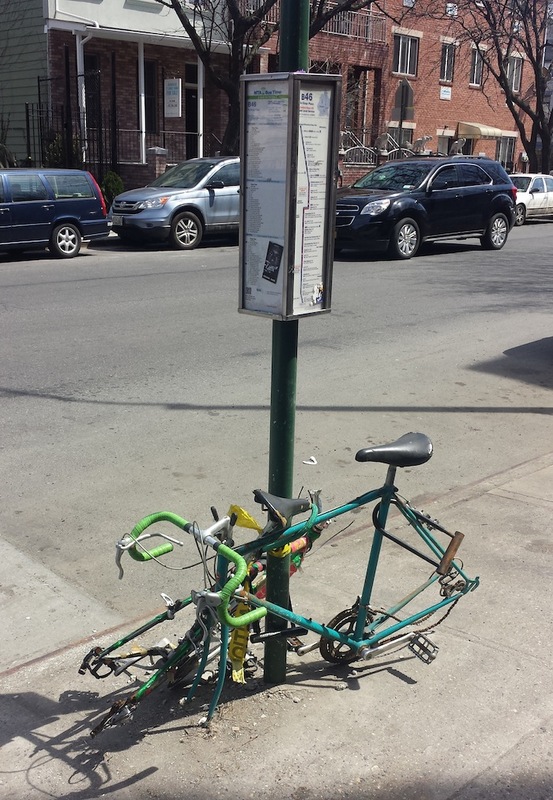 I was chatting with fellow Bed Stuy resident (and bicyclist) QuiteDecent about having a bike in the neighborhood. He told me that he starting taking photos of the poor bikes left locked outside, and what remained of them. 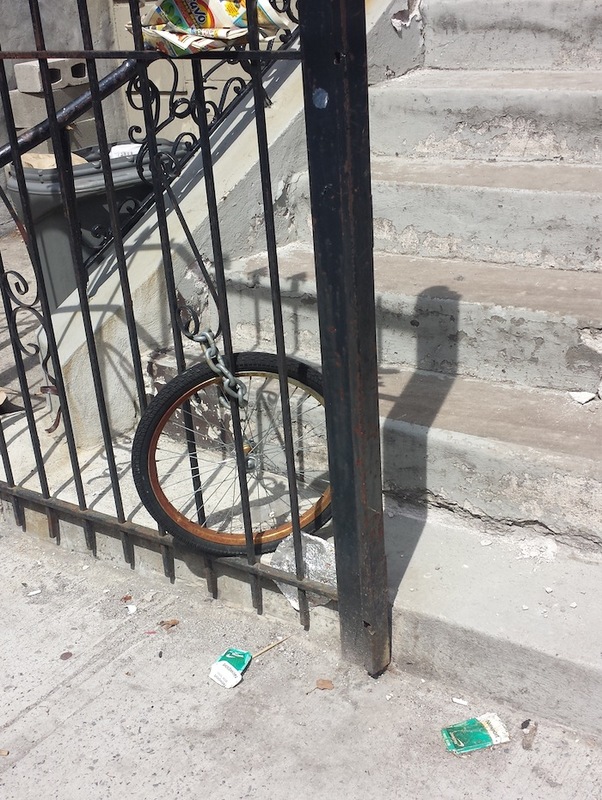 I live on a fourth floor walk-up, so when I first moved into my apartment and felt tired at the end of the day, I locked my bike outside for the night. That lasted three nights. After the third night, I saw that someone had cut through one of my locks but didn’t manage to steal anything. And now I bring my bike upstairs every day, and consider it my workout. 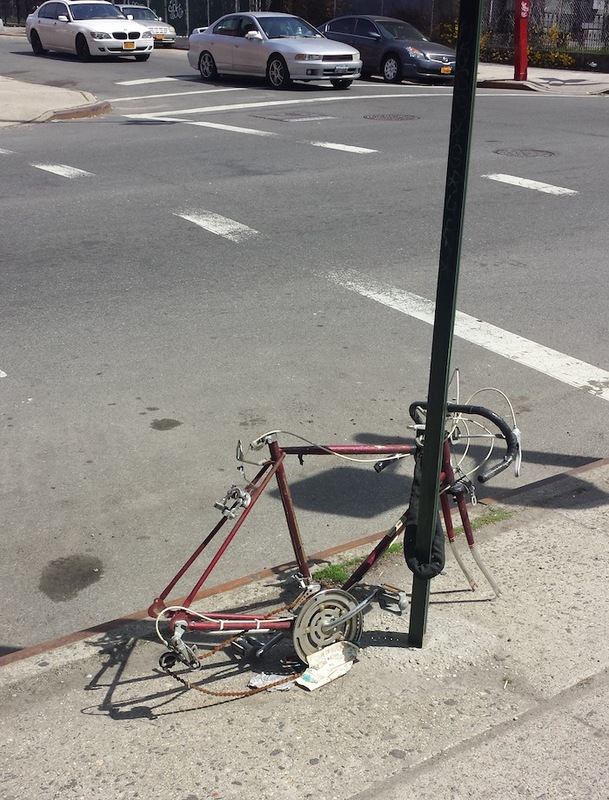 I’ve had issues with bicycle stealing in various neighborhoods of New York, so I know it’s not just a Bed Stuy thing. But it’s worth mentioning that one evening, while locking my bike outside, a resident warned me against doing it — her husband recently had his bike stolen off the lock. I’ll go ahead and say that it’s a definite problem in the neighborhood — do you agree? ← What Would You Like to See on the Corner of Stuyvesant and Macon?